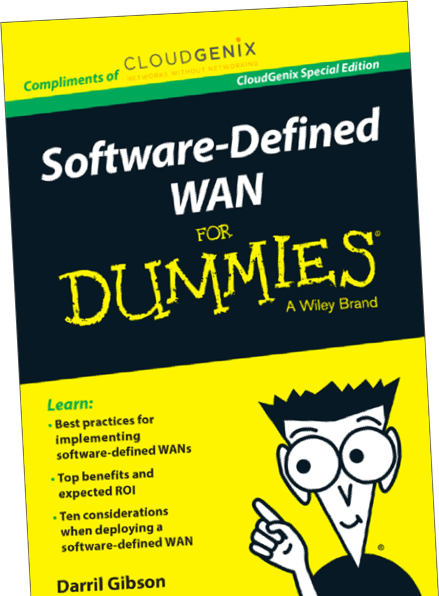 Want to know what all the buzz is about SD-WAN? This book will give you a comprehensive overview of SD-WANs, technical considerations, benefits and expected ROI, and best practices for implementing an SD-WAN solution in your enterprise. Reduced remote office hardware and operational costs. © 2019 CloudGenix Inc. All rights reserved.